State Street's 2018 MENA Regional Survey was conducted with institutional investors and contains their impressions of the economic outlook for the region, as well as a summary of strategic practices such as the utilisation of ETFs, the appetite for ESG, and data management. 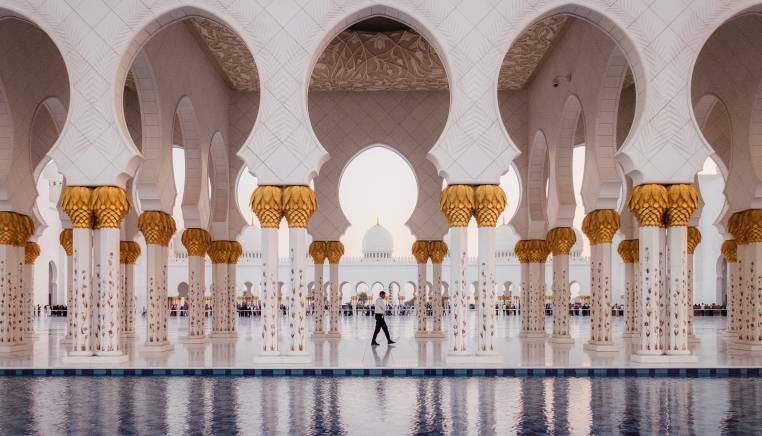 We've also included salary surveys, insight into the dynamics of the GCC geopolitical environment, an inquiry into the sustainability of GCC currency pegs, and a comprehensive review of Islamic finance. State Street surveyed 306 investors in the MENA region from sovereign wealth funds, central banks, pension funds, and asset management groups on trends and investment strategies. Changes in OPEC policy, as well as Saudi Arabia's output policy, are discussed in this Oxford Institute for Energy Studies report, with specific emphasis on Saudi Arabia's efforts to manage Brent crude prices within a narrow range. Sovereign wealth funds today have nearly as much AUM (approx $7.45 trillion) as the entire alternative assets industry (estimated at $8.7 trillion). Preqin presents the highlights of their recent SWF survey. A 69-page report surveying Middle East salaries in banking and financial services, accounting & finance, sales & marketing, and other sectors. This Robert Half survey provides insights into salary expectations for UAE professionals in industries such as accounting and finance, financial services, technology, HR, and legal. This Chatham House paper explores Iranian foreign policy and its relationship with other GCC countries in an effort to foster regional engagement and promote potential measures of de-escalation within the GCC region. The embargo on Qatar that was announced in 2017 was a surprise to most of the international community, but it has become a reality that the EU and other global powers must adjust their strategies to accommodate. This policy briefing by the Brookings Institute's Doha office examines the appropriateness of the GCC currency pegs and the varying capabilities of monetary authorities to sustain them over time. Preqin provides a snapshot of LPs that are active in the Israeli market as well as their known private capital investments. The Arab World is beset with inequality and fragility, yet recent ambitious reforms could hold promise for the region. The IFC, World Bank, and WEF come together to present a shared vision for transformative change. Rather than avoiding Egypt due to its high inflation, turmoil, and currency devaluation, investors may want to consider investment opportunities that could be unlocked by its high literacy levels, low labor costs, and recent reforms. MSCI has announced that Saudi Arabia will be added to its Emerging Markets Index as of June 2019, bypassing the typical route of addition first as a Frontier Market country. This 87-page paper is a comprehensive review of the theory and practice of modern Islamic finance. Global trends and geopolitical relationships are changing at a remarkable pace, but what will this new economic context have in store for countries in the MENA region? This report from the CFA Institute discusses the complex geopolitical environment in the Middle East, the dynamics of the oil market, and potential sources of political, demographic, and market-related instability.